Dead Sea Spa Resort Days - Riot, Riot! We’ve spent the last two days at the Jordan Valley Marriott. It’s a super nice dead sea spa resort and the perfect spot to celebrate the extension of my 34th birthday. Upon arrival we got upgraded to a spacious suite with sea view. What ensued: subsequent laziness! Heaven! Without a doubt it can’t get more unique – salty to the point of being acidic, with an almost oily looking surface and providing a buoyancy that is unparalleled it’s one of the most amazing places I’ve experienced. The mud from the dead sea is supposed to leave you rejuvenated. Baby soft skin owed to the many minerals is the reward for covering yourself had to toe in brown mud. Sit in the sun to let it dry to a slight crust and then wade into the Dead Sea to wash it all of. Continue your water adventure with a good soak and float and don’t forget to shower with fresh water afterwards. At night the sun sets beautifully over the water and the hotel does is best to entertain with belly dancers and dinner with a view. 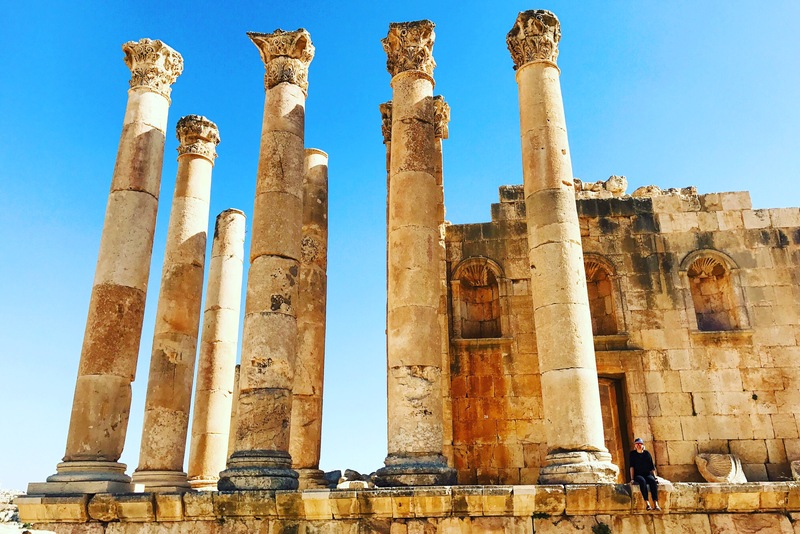 Read about Amman and Jerash.